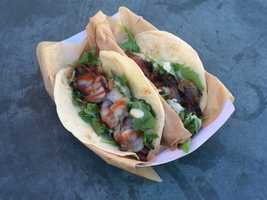 Every food truck in Columbus has a story. Jim Pashovich, godfather of the local scene, honors his Macedonian heritage with his fleet of Pitabilities trucks. 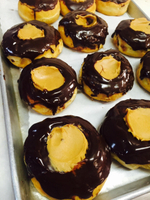 After working as a New York City line cook, Catie Randazzo returned to Columbus to open Challah! and wow the hometown crowd with her reimagined Jewish comfort food. Chef Tony Layne of Por’Ketta serves up rotisserie-style porcine fare in his tin-roofed truck. Established favorites like Paddy Wagon and Explorers Club pair with the city’s best nightlife venues and breweries to extend their offerings at permanent pop-up kitchens. 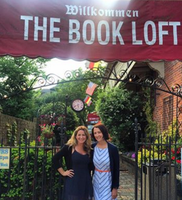 With insider interviews and over thirty recipes, food authors Tiffany Harelik and Renee Casteel Cook chew their way through the thriving food truck scene of Columbus. 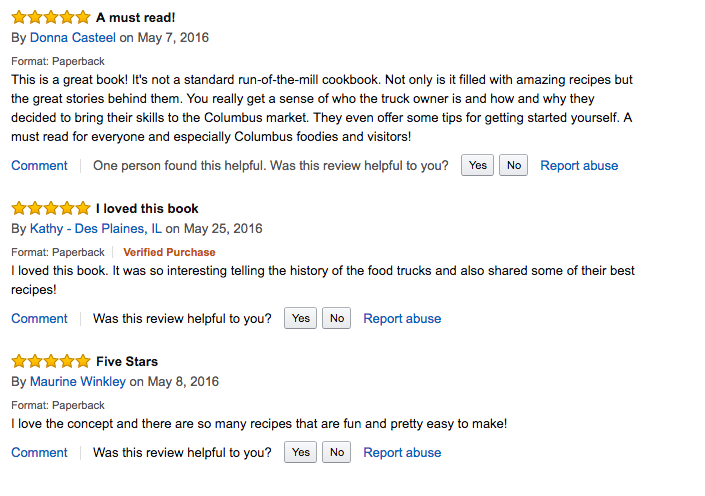 We are grateful for the local support in reviewing The Columbus Food Truck Cookbook. Check out their reviews by clicking the links below. 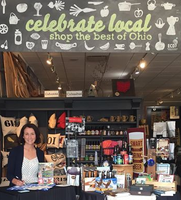 Columbus Monthly: "“The Columbus Food Truck Cookbook,” which was released earlier in May, highlights favorite dishes from more than 20 of the local rolling restaurants, including Challah!, Pitabilities, Ray Ray’s Hog Pit, Papaya, Mai Chau, Por’Ketta, Kinetic and many more." 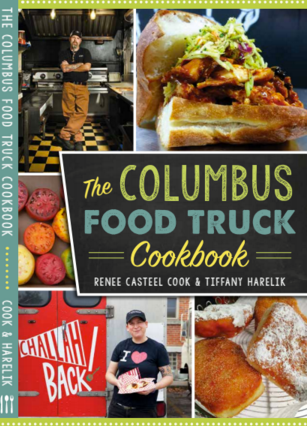 Dispatch (Lisa Abraham) "Fans of Columbus food-truck fare might want to check out the new “Columbus Food Truck Cookbook” by Renee Casteel Cook and Tiffany Harelik.... Cook is a freelance writer who lives in Columbus, and Harelik is a cookbook author from Texas. Cook contacted Harelik to collaborate on the food-truck book after reading one of her cookbooks, and the pair worked together on the book long-distance for more a year... The book tells the tales of Columbus’ colorful food-truck operators, all of whom share a recipe or two for their street eats, ranging from breakfast beignets from the Early Bird food truck to vanilla soda from Flat Top Pizza Co."
614 Now: "Ever wanted to learn the secret to how food trucks make their dishes so delectable? 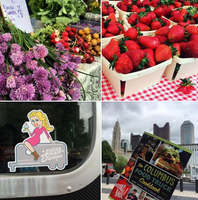 Now you can with the new Columbus Food Truck Cookbook!" StreetEats: "This clear labor of love features a cool cover, great photography, and recipes from many of our favorite trucks. It also features a sizable Q&A style interview on local food truck matters with yours truly, not to mention notable food truck observers such as Jim Ellison and Nick Dekker..."
CMHGourmand: "Inside the book you will find a mix of recipes as well as content about the food truck culture and interviews with many of the better known (and a few lesser known and/or o retired food truck operators). 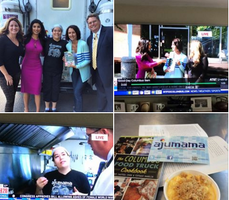 If you are interested in the world and culture of food trucks, this is a good introduction." Thanks Ann! 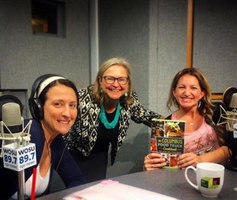 We had a great time talking about Columbus street food with you and all the callers who called in for the show. During our launch we partnered with FoodTrucksIn.com. They provide detailed information, real time locations, and contact information on more than 6,400 mobile food trucks, trailers, carts, and stands. Learn about, locate, contact, and hire mobile food vendors using FoodTrucksIn.com!